The three TimeSplitters games were created by ex-Rare employees who worked on the legendary Goldeneye 007 and Perfect Dark N64 games back in the late 1990's. The original TimeSplitters was an exclusive launch title for the PlayStation 2 and although it was fun it felt a little underdeveloped; it had a bare bones story and was mainly meant to be played in multiplayer. The game featured some very fluid animation and helped create the foundations for the series but felt like an empty shell of a game... in contrast, TimeSplitters 2 is overflowing with a fantastic set of characters, a great time travelling story, set pieces that were beyond anything seen in FPS's of the time and easily some of the best local multiplayer ever conceived. 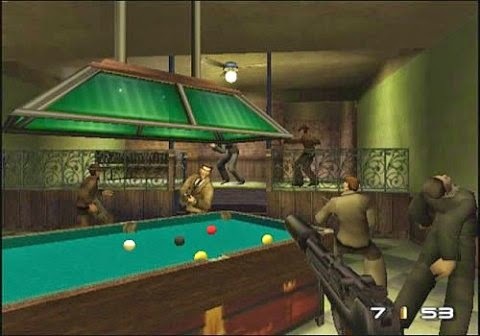 When TimeSplitters 2 came out I remember thinking that it was like playing Goldeneye 007 but with a greater sense of humour and with all the kinks ironed out. One of the definitive games of the GameCube, PlayStation 2, Xbox era and incredibly playable to this day. Each mission is full of charm and variety and playing the missions in co-op only adds to the enjoyment. The game also came with a map maker which was surprisingly robust. One of the best FPS's ever released, sadly they don't make them like this anymore. 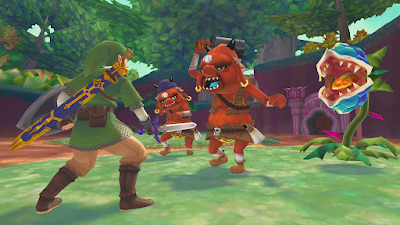 Skyward Sword is a divisive game. Some hate the game's motion controls that task you with making accurate and deliberate swipes with the controller in order to swing your sword, some hate the dungeon structure which often has you trying to find hidden items with a bona fide metal detector before progressing, and some find the hubworld of Skyloft to be one of the most uninspired of all 3D Zelda games.. and in many ways they are right, this isn't a perfect Zelda game but it is still one that will enchant you, envelop you with its story and will often amaze you with its rich design. The first major difference in Skyward Sword is Link's stamina meter; Link can now sprint at high speed as well as fault up small walls at the cost of a regenerating stamina meter. Link's new found agility breathes life into the game and sees you making short work of obsticles. If the meter drains completely Link will wander in a daze and not be able to attack so sprinting must be used sparingly... but it makes Link feel more nimble than ever. The game's controls are incredibly well thoughtout and utilise the Wii's unique motion controls in discrete and creative ways that make you wish more developers had been as ambitions with the Wii's often unruly controls. The game relies on the Wii Motion Plus technology and uses the extra precision brilliantly, the game doesn't often use the pointer but instead uses the motion of the controller itself and it works surprisingly well. I love the watercolour aesthetic which sees distant objects appear as smudged brush strokes, the story which takes many interesting turns and more than anything I love the design of the world and the varied gameplay. It is obvious that a lot of passion and effort went into making this game and it shines through from beginning to end. Easily one of my favourite Zelda games and one of the best games on the Wii. If you haven't already noticed I love arcade gameplay, and Namco were one of the biggest and best arcade companies of the 90's with series like Tekken, Ridge Racer and Time Crisis all munching up our pocket money. Namco would go on to port over all of their major arcade titles to the new kid on the block, Sony's PlayStation. 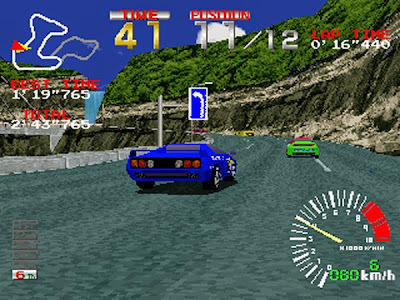 The original Ridge Racer helped launch the system back in 1995 with its unique soundtrack, smooth gameplay and adrenaline filled races. The conversion was a thing to behold, polygonal graphics had never been so detailed and smooth on a home console up until that point, setting Sony's new machine apart from the competition. The game did not feature a multiplayer mode but in all honesty I didn't mind as trying to beat the computer was a task in and of itself. The series would not feature multiplayer until 1999's masterful Ridge Racer Type 4. During the opening loading screen you were treated to a short round of Galaxian, if you could get a perfect score you would unlock a batch of new vehicles. Trying to achieve this when I was younger was incredibly addictive... but now I can do it no problem! The 1996 sequel, Ridge Racer Revolution, would do one better and feature the first bonus stage from Galaga. Ridge Racer marked my first exposure to either of these games and that alone puts it pretty high on my list but it obviously doesn't hurt that the games themselves are also fantastic! I highly recommend tracking down a NegCon controller for this one, the perfect controller for one of the most perfect racing games out there. King of Fighters '98 was a 'dream match' that brought together almost all characters from across the Orochi Saga ('94-'97) - including those who had died - into one massive fight. The game acts as a full stop on the Orochi Saga and a distillation of each of the fighting styles from across the previous games. There is very little emphasis on story here, instead all focus is on the deep fighting mechanics that SNK are famous for. 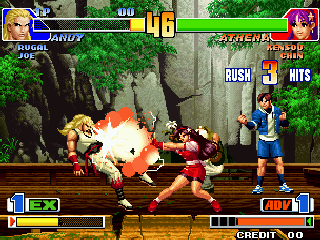 The game runs on a fighting system very similar to KoF'97 which includes two distinct modes, Extra and Advance, each of which vastly change the feel of each character. I love all the King of Fighters games for different reasons, but I also love playing through each game and noticing the changes that were made between each entry; developing new fighting techniques in the process. I feel that special mention has to be given to '98 for offering so much content and getting the balance well through out (so long as you ignore boss characters!). There is a real physicality to the fights that gives each blow 'umph' and weight and adds a lot of tension and drama to every round. KoF '98 wins out over other SNK fighters such as the Samurai Shodown series for shear size of the roster and the immediacy of the fighting, one of the best 2D fighting games out there. 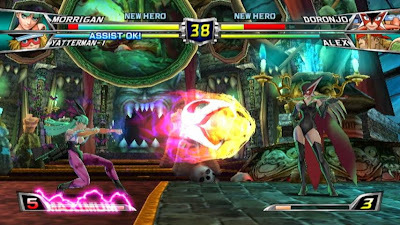 Tatsunoko Vs. Capcom is one of the latest in the long running Vs. Capcom series which is most known for the Marel Vs. Capcom games. At one point it looked incredibly unlikely that Tatsunoko Vs. Capcom would make it out of Japan due to licensing issues but low and behold we got the game in an upgraded 'Ultimate All-Stars' form! The likelihood is you won't recognise many of the Tatsunoko clan - I only knew Battle of the Planets and Yatterman characters before playing - but they fit in so seamlessly with the Capcom characters that it really doesn't matter. The game keeps true to the over the top Vs. formula, with emphasis put squarely on long, quick and flashy combos. The ease of control and of starting combos makes you feel creative and always in control of the action; yet the game is deep enough that you will always be finding new ways to keep combos going and it is this emphasis on creativity that makes the game such a joy to play. The game featured a great online mode that has sadly been pulled following Nintendo's withdrawing of all Wii internet features... boo! Here's hoping - although it is highly unlikely - that the game will be ported in the future. The perfect Star Fox arrived in 1997 and it would appear that Nintendo knows this all to well as the game has left a long shadow over all future games. 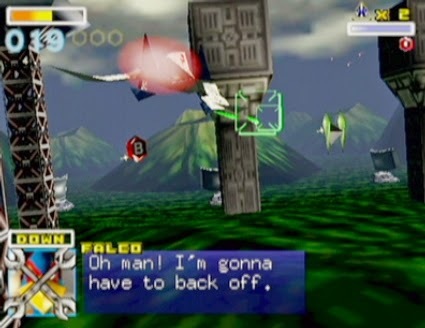 The original Star Fox for the SNES was a fantastic show piece for the capabilities of the Mode 7 chip but Lylat Wars improved on that game in every way with more personality given to the game's characters, a better framerate, a great soundtrack, more variety added to the stages etc etc. Lylat Wars is a - mostly - on-rails shooter with a distinct arcade feel. You must weave your way round obstacles, fire at enemies and take care of your comrades in order to reach the end of each level, if you finish a level under certain conditions you may choose one of the harder levels from the branching mission structure. Completing the game for the first time won't take you very long but seeing everything that this game has to offer takes a lot of dedication as some of the levels are very hard to reach... but it's always fun to at least try! The game worked perfectly with the N64 controller and was a good example of the added precision that could be achieved using an analog stick. The game also helped launch the Rumble Pak which came bundled with the game; this would plug into the back of the controller allowing you to feel every hit. 2011 saw a remastered version of Lylat Wars for the 3DS with all new graphics and audio, it rounded out the package nicely but my heart is with the original... DO A BARREL ROLL! 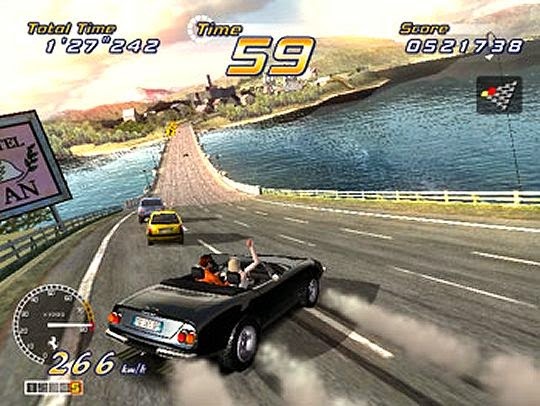 OutRun 2006: Coast to Coast was a console exclusive final version of OutRun 2 which included stages from OutRun 2, 2 SP, as well as extra modes including net play and exclusive challenges. OutRun 2 marked a drastic change for the classic arcade racing series that started back in 1986 and went onward with mediocre success with games such as Turbo Outrun and Outrun 2019. It was the first direct numbered sequel and thankfully lived up to the name. OutRun 2 would focus on what made the original great - fast arcade racing, a great soundtrack, varied locations, branching paths - whilst expanding the series with new elements such as drifting and a variety of new modes. The feel of the game is pure OutRun but the way you play feels quiet different. The emphasis on drifting is huge and you'll be drifting around 50% of the corners at breakneck speeds. This not only looks cool but is a joy to pull off. The game retains its pick up and play arcade heritage but the amount of extra content on offer gives the game a lot of longevity. You acquire points through play that can be used in the game's shop to unlock extra music, cars and tracks. Unlocking all this can take a while but it is worth it. The game also includes extra modes that ask you to drive in particular styles in order to impress your girlfriend, or race against your rivals, the better you do in these modes the more points you earn to spend in the shop. Getting a perfect run on these challenges is very satisfying. OutRun 2 is a perfect sequel, it builds on the original concept whilst also feeling fresh and daring. The game retains the arcade blue skies and tight gameplay but presents them in a new and exhilarating environment. 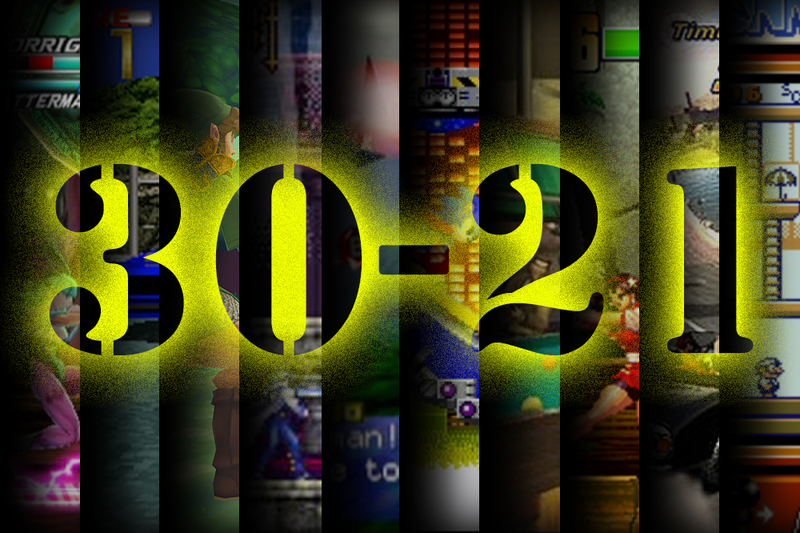 The game is still beautiful to play and is everything a modern day arcade game should strive to be. Donkey Kong for the Game Boy (often referred to as Donkey Kong '94) is not what you think it is. It's not Donkey Kong Country but it's not necessarily the arcade Donkey Kong either... it's so much more. 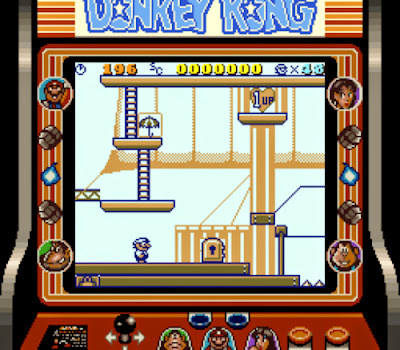 The game opens with four levels which are taken straight out of the arcade classic Donkey Kong, these feel simple, their graphics are plain and they don't provide much of a challenge but from here on it's like a parrellel universe where Donkey Kong took Pauline across many many many (over 100) other levels. These new levels far more devious, complex and detailed and become quite challenging as the game goes on. Mario is surprisingly acrobatic in this game, he controls a lot like the Mario of Super Mario Galaxy which will come as a surprise to anyone expecting him to control like Jumpman. The wealth of different manoeuvres that Mario has at his disposal really is staggering and sees this game stand out among other Mario games. A hugely underrated gem of a game that plays fantastically today and has some of the best Super Game Boy integration of any game on the system. Essential gaming. The original Mega Drive Sonic games undoubtedly stand out as the best of the blue blur's long and precarious career. The four original Mega Drive games are absolutely essential 16-bit platformers that redefined what was expected of the genre, with speed and attitude so different to the goofy looks and methodical jumping of Mario games. Many would try and capitalise on Sonic's street cred success, almost always with hideous results; and yet the remarkable thing about the Mega Drive Sonic games is that they still feel cool and fresh... they haven't aged a day. The structure is simple, go through multiple Acts that form a Zone, each of which end with a battle with Sonic's nemesis, Dr. Robotnik. Each game features a different set of bonus stages, Sonic 2's being set in faux-3D cylindrical pipes. Successful completion of a bonus stage will get you a Chaos Emerald, collect all of these to get the 'true' ending. 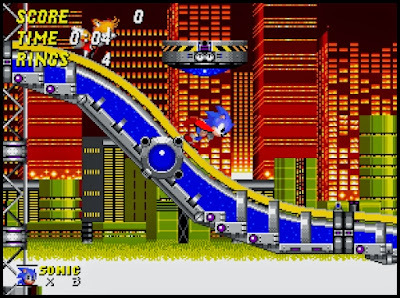 All the Sonic games for the Mega Drive are classics; they all feature fantastic enemy and level design and all have incredibly catchy and memorable soundtracks... but for me Sonic 2 stands out as the best of the bunch as it stays true to the classic Sonic formula without adding too many extra power ups and characters like Sonic 3 did. Both Sonic 2 and 3 are excellent and although many would argue that Sonic 3 is the better of the two - with better graphics, more varied gameplay and better bosses - there is something absolutely timeless and wondrous about Sonic 2 and not much else comes close to that. The first Castlevania game I ever played was Dawn of Sorrow, a game that I picked up for my shiny new 'phat' DS way back when it came out in 2005. At the time I did not know the history of the series and how the game was nestled in the 'Metroidvania' gameplay tradition that started with 1997's Symphonia of the Night on the PlayStation. Since playing Dawn of Sorrow on the DS I have played all the Nintendo DS, Game Boy and Game Boy Advance games as well as Castlevania III: Dracula's Curse for the NES and my favourite by a rather narrow margin is Aria of Sorrow for the GBA. 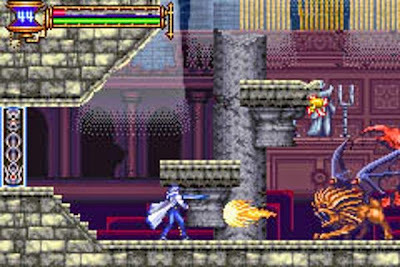 Aria of Sorrow was the third game for the GBA and improved upon the previous two games immensely. The graphics were cleaned up and looked beautifully crisp, well animated and bright - quite unlike the dark and sometimes dull look of the previous two GBA games. In Aria of Sorrow enemies sometimes drop new abilities that you can equip, finding all of these unique abilities - of which there are a lot - and figuring out what works best for you in terms of traversal as well as combat is incredibly addictive. As is getting 100% map completion for visiting all areas in the game. Aria of Sorrow was followed by Dawn of Sorrow which delivers better visuals but also shoehorns in some unwarranted touch controls that hold the game back. The scope and focus of Aria as well as great gameplay mechanics mark the game out as my favourite of the series so far. What Castlevania game should I play next? Symphony of the Night?